As this issue commemorates 45 years since the first human placed foot on the Moon it seems rather fitting to feature the Moon in this astronomy item. As we all know the Moon is our nearest astronomical body at about a quarter of a million miles or 405,000 Km away. Unlike other planets in our Solar System the Earth only has one natural body orbiting it which we call the Moon. Our moon is known by many names, but the most common are the Moon and lunar. Lunar is an anglicisation of the Latin for Moon which is Luna. Almost all space missions that go to the Moon are called lunar missions rather than Moon missions. The naming is used interchangeably, though lunar is more associated with scientific references and the Moon more with literary and artistic fields. The Moon is, of course, very special to us. It frequently occurs in myths and mythology, but far more importantly it affects our physical world in the governance of the tides in the oceans and seas and in our calendars. The gravitational influence of the Moon attracts the water on the Earth pulling it towards the Moon thus creating the tides. The pull of the Moon creates two bulges in the seas on Earth which are pulled round with the Moon forming the twice daily high and low tides. The Sun also has some gravitational pull, albeit about 10% of the Moon’s gravitational effect, which in combination with the Moon creates the extra high spring and extra low neap tides. The Moon takes about 27.5 days to orbit the Earth forming a complete lunar Cycle. The lunar cycle gave ancient civilisations a reference to mark time by, in addition to the rising and setting of the Sun on a daily basis, the Moon goes through its cycle in about 28 days. This gave rise to the calendars which use the lunar cycle as a basis for measuring longer time periods. Lunar Calendars are still very important throughout the World with the Chinese New Year being determined the Moon. The Islamic and Christian Calendars both are influenced by lunar events making the Moon a very important part of our culture. We only ever see one side of the lunar surface. This is because the Moon is tidally locked to the Earth. Tidal locking is caused when one body (The Earth) creates a gravitational influence on another body (the Moon) changing it’s rotation rate to match its orbital period. This means that the Moon rotates about it’s axis once every time it orbits the Earth. This is the reason we only ever see one side of the Moon. 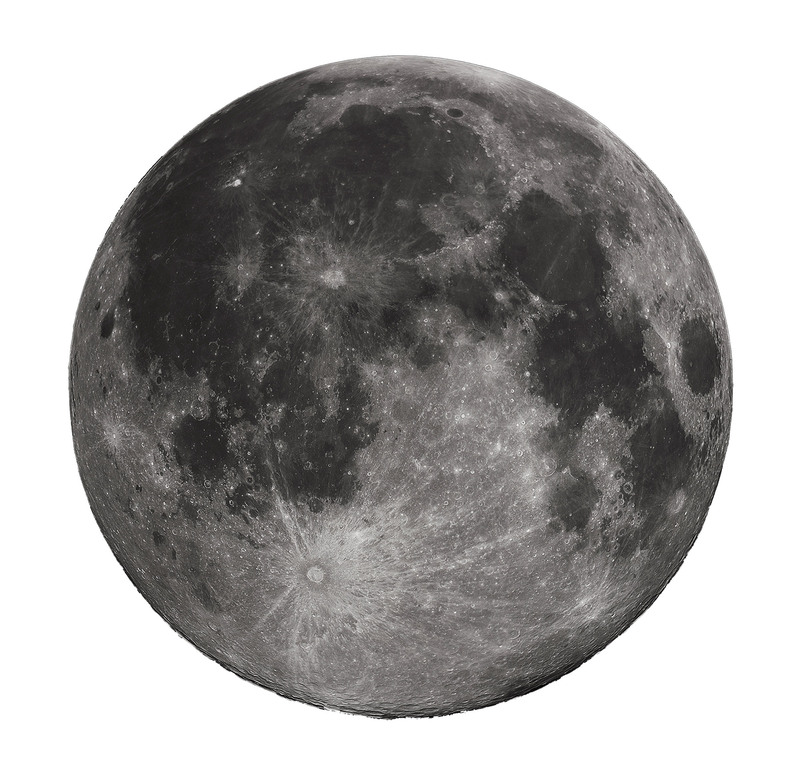 You would expect that as the Moon is tidally locked we would only see half of the surface. This is not quite true as there is an effect known as libration allowing us to see about 59% of the lunar surface. Libration occurs primarily due to the fact that the Moon’s orbit is not perfect. The slight changes in the orbit combined with the changes in the Earth’s orbit allow the Moon to either lead or follow us slightly. This in turn leads to more of the surface being exposed at the edges. The Moon has, obviously, been visible throughout humanity, but one of the first serious attempts to map the visible surface was made by the legendary British astronomer Sir Patrick Moore. In fact the quality and detail of Sir Patrick’s maps formed the basis for the American Apollo lunar landings after having published “A Guide to the Moon” in 1953. The Far Side of the Moon, often called The Dark Side of the Moon, is the half of the Moon that we cannot see due to the tidal locking. As mentioned above we can actually see 59% of the lunar surface so only 41% remains unseen from Earth. Indeed it was not until 1959, 55 years ago, when the Soviet probe Luna 3 took images of some of the far side that we started to get a clue as to what this looked like. Since this time many of the lunar missions have imaged the entire moon and we have a complete picture of the entire surface. These images revealed a lunar landscape almost completely covered in craters. The Moon’s surface is interesting, particularly the contrast between the visible and the far sides. On the visible side of the moon the surface has a good mix of ‘seas’ and craters, whilst the far side only has a single sea (visible during librations) with the remaining surface being pocked with craters. Although the Moon shows evidence of early volcanic activity it is widely accepted that the craters visible on the surface were created from impacts and are not volcanic in origin. The lunar seas were created via volcanic eruptions with the resultant lava flooding the lower features of the lunar surface creating the huge expanses of relatively flat plains. Over the millennia these laval seas have been peppered by impacts from meteors and comets creating the impact craters seen on the surface. The most spectacular of these are Tycho and Copernicus both easily visible with binoculars. On Earth our dense atmosphere provides a barrier to all but the largest impactors. The friction of entering our atmosphere causes the particles to heat up and burn providing us with the illuminated shooting stars in meteor showers. This means that only a very small number of meteorites make landfall. As the Moon has very little atmosphere there is nothing to stop meteors crashing into the surface. With no protection from the objects flying through space the surface of the Moon is dotted with impact craters. One feature of these craters is the ejection of surface matter from the impact that can spread out for many miles from the crater. This can be seen as the lighter areas surrounding the crater, and will often form as rays emanating from the impact zone. Of all the features of the Moon the most spectacular, easily visible, and obvious are the phases of the Moon. This refers to the transition of the moon from New Moon to Full Moon and back to New Moon again. The cycle starts at New Moon, with completely dark skies. The next seven days see the crescent moon gradually increase in size until the Moon is half illuminated. This is known as the first quarter. The illumination continues to cover more of the Moon until half way through the cycle when the entire surface is shining. So we can see that the Moon exerts a strong influence on all of us from the romantic to the scientific. Without the Moon we would have no tides, and our timekeeping would have evolved in a very different way.